Ever since I discovered Japanese paper clay molds, I've been dying to test them out. I've worked with paper clay before and really liked it. It's got a great texture, it's light, you can stamp it, paint it, and it air dries. 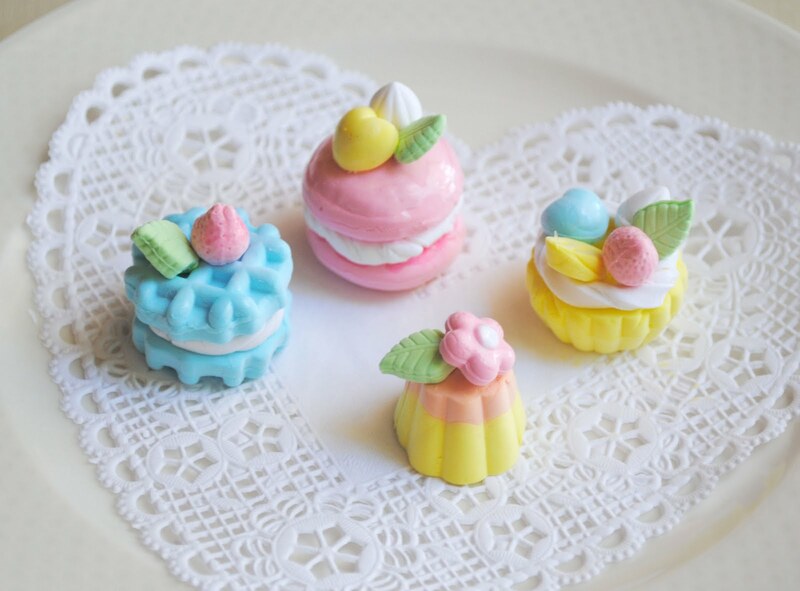 So, I was excited to test out the paper clay on the miniature food molds. Below I share how to make miniature food with the clay molds. I purchased this Mouse-Chan Fuwa Fuwa paper clay set for $16.80 at JBOX to make the miniature food. It came with clay along with a mold to make all the food you see in the picture above. Don't want to purchase a kit or buy online, I've got your back. Paper clay - It can be purchased at the craft store. I know Crayola sells it under the name Model Magic. You can mix different colored clay to get the desired color you want. Example red + white = pink. *Molds - Can be purchased at the craft store in the clay section. 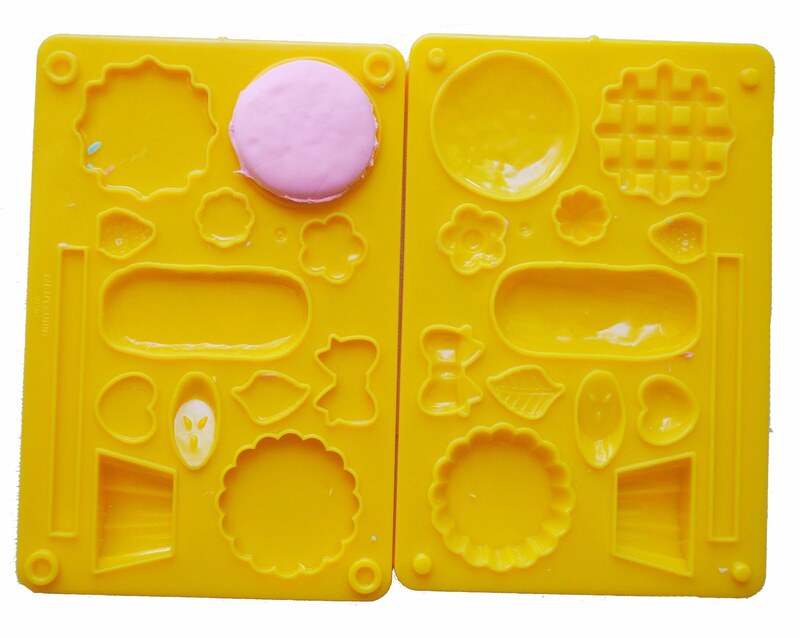 Also, check the baking section for candy molds. They're often tiny and come in all kinds of shapes. The draw back to this is they're not as flexible making it a little more challenging to get the clay out. Rub a little vegetable oil with a cloth onto your mold. Add Paper clay. Close up mold. Open mold. 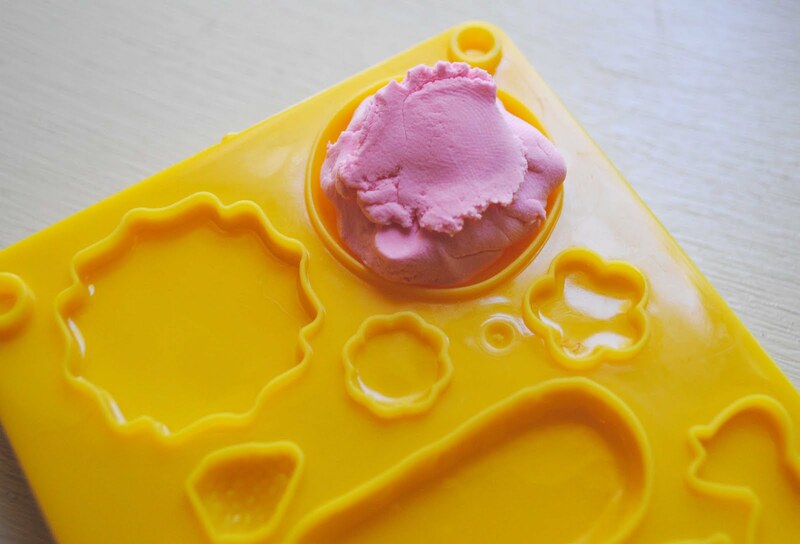 Carefully pop out clay by gently pressing the mold. A toothpick is helpful to get the clay out as well. Assemble all your pieces. I recommend gluing everything together because the clay is so fragile. Let dry overnight. Done. 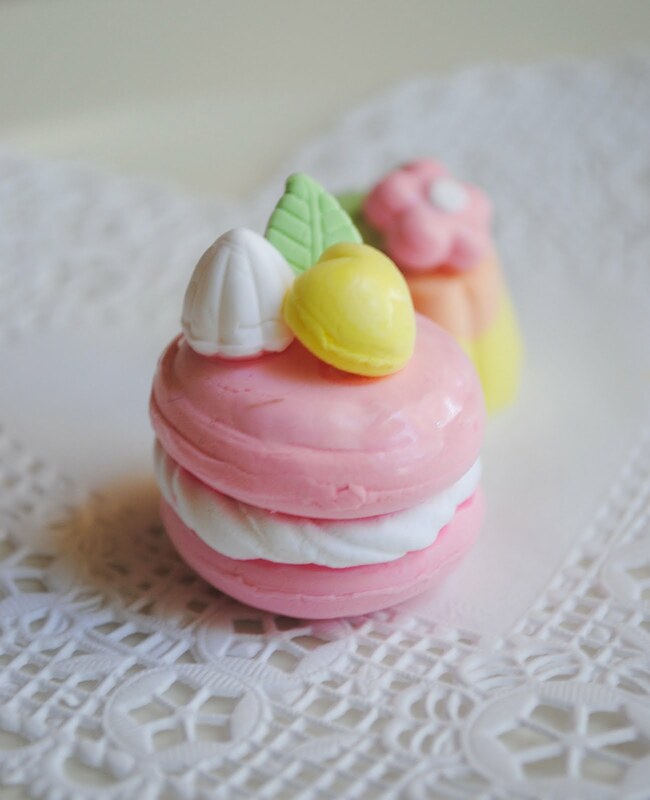 The diameter of this macaroon is a little larger than a quarter. This project is cross-posted over at Must Have Cute (other site I write for). I just knew that there's a mold for making miniatures! Japaneses are sure making up cute things! Are the molds flexible. 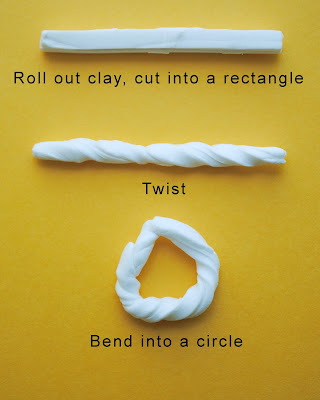 I'm thinking I would like to try them using sugarpaste and then I could really eat them!! OOh how fun! It takes me back to my childhood and playing with Play Doh. lol, my kids are literally drooling at the screen, lol~! Sweet! I can't tell you how many people at my house (including me) would try to eat those! They are very cute and turned out amazing! The colours are so pretty and tantalising. Very clever formulation! How cute are those?! 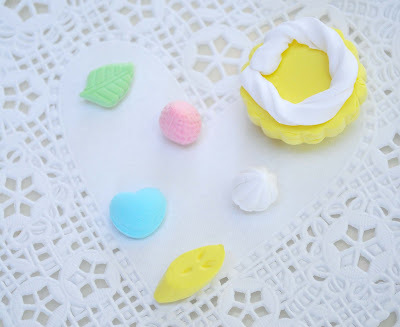 I love paper clay, and what a perfect medium for these little treats! i want this! this ios a must have for my craft collection! 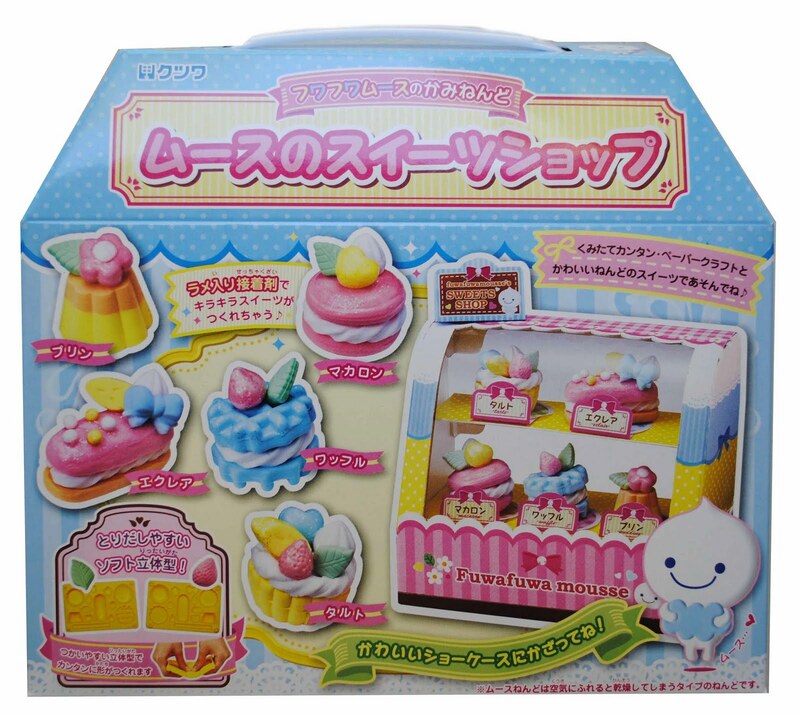 those molds are too cute. I work with polymer clay but have yet to work with paper clay or molds!!! I really love the macaroon! I checked out your food jewelry. They look so real. Kawaii! So cute! I think I would keep trying to eat them though! I ordered some clay last week, I can't wait until it arrives so I can start making pretties! Very cute. 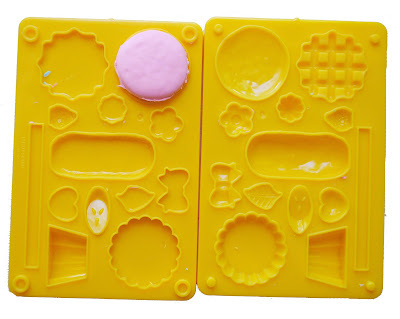 My daughter would love those molds for her playdough. These are so well made! how fun! 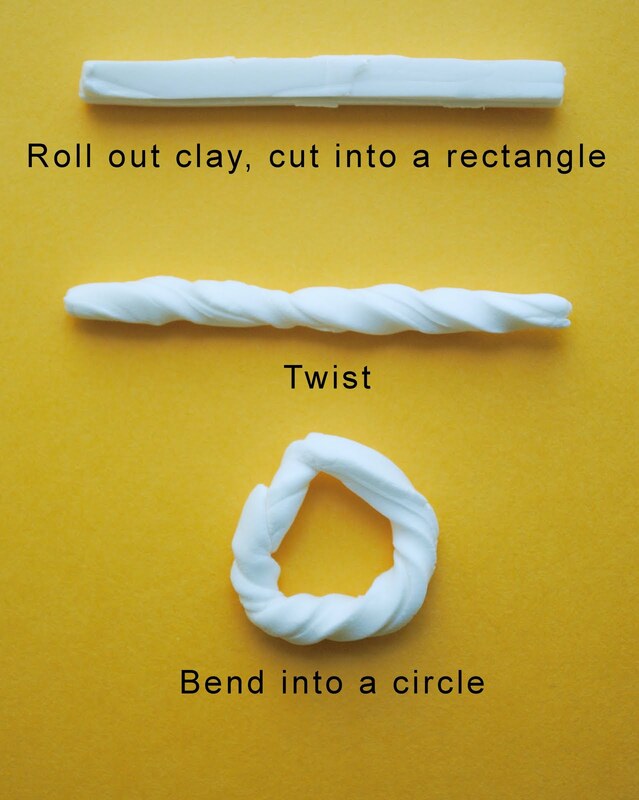 is paper clay like polymer? or is it very different... great site u have here! adorable! i never even knew 'paper clay' existed... i need to check this out at the craft store. I ordered a kit for my daughter and she loved it. Thanks for the inspiration. UPDATE: We had so much fun with this project I blogged about it and linked back to your site. Thanks!